February’s Dreamer in the Spotlight! 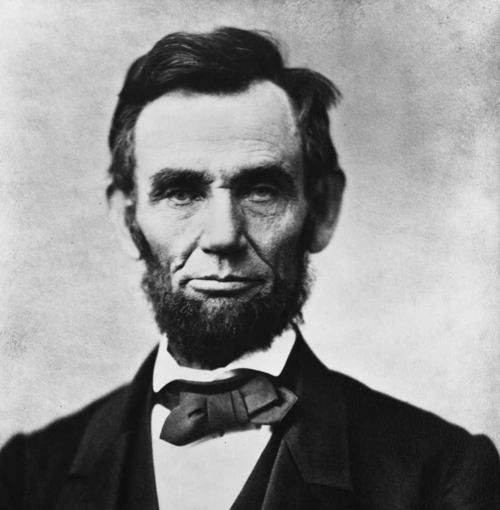 In honor of President’s Day this month, I thought it would be appropriate to look back at one of the nation’s greatest leaders – Abraham Lincoln. I recently listened to one of my favorite (audio)books, The Rhythm of Life, again. In this book, author Matthew Kelly discusses the perseverance of Lincoln and the many obstacles and difficulties that he faced during the course of his life, particularly while pursuing his political ambitions. Several times he ran for different levels of office and lost before finally winning a seat in Congress in 1846. Even after that, he lost when he ran for re-election in 1848 and lost again in 1854 when he ran for Senate. Yet, he still decided to run for President of the United States in 1860. And of course, the rest is history – we now know him to be the 16th President. Not only is Abraham Lincoln a great example of staying focused on a goal despite many failures, but he also had his priorities in order. In his famous speech, The Gettysburg Address, Lincoln noted the importance of Americans moving forward together as a nation under God. Clearly, it was God’s plan for Lincoln to be president at this point in history. Who knows what our country would look like now if someone else had been president? Just as Lincoln was meant to be the 16th President of the United States of America, each one of us has a purpose and a role right now. We all are on earth at this point in time for a reason. I believe that true joy in life comes from discovering what God is asking of us and then striving to achieve that dream – ultimately becoming the person that we were meant to be and fulfilling the special role we were meant to play. The road will likely not be easy, but anything is possible with God’s grace and guidance! ← Support THE LiNE on The Voice!